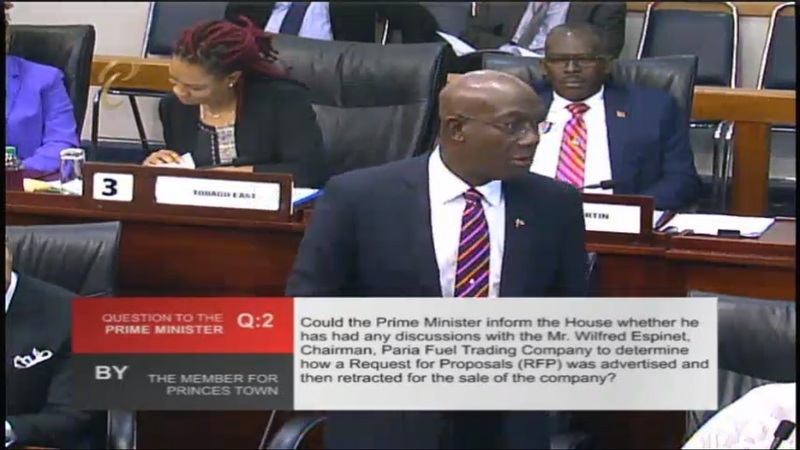 Prime Minister Dr Keith Rowley said he has not yet had any discussions with Trinidad Petroleum Holding (TPH) Chairman, Wilfred Espinet, after requests for proposals were submitted, then retracted, for subsidiary company Paria Fuel Trading Company (PFT). 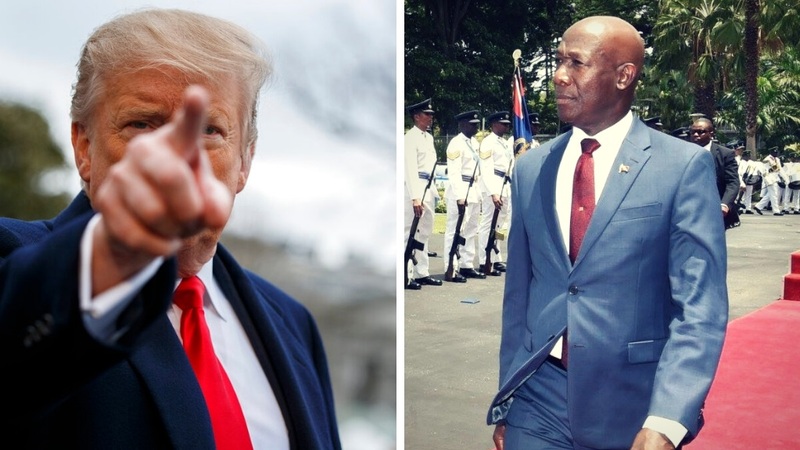 Speaking in Parliament on March 22, 2019, Dr Rowley said that no discussions had been had after his return to the country on March 20, 2019 as he immediately held a national press conference upon his return. When questioned, Dr Rowley said if there was any lack of confidence in Espinet’s abilities that government would take the appropriate action. “Whenever an appointment is made by the government of Trinidad and Tobago with respect to positions in the state enterprise sector, if it is that the government has no confidence in any appointee, the government will act appropriately,” he said. When questioned as to what data was available on PFT’s profits, Dr Rowley said he did not have the information readily available. “I have no documentation to respond to that. If that question is properly filed with the appropriate notice the government will be in a position, because…I seem to recall that the restructuring of Petrotrin came December 1 last year (2018), and it’s quite surprising that a member could come to the House and ask for the first-year profits when the first year hasn’t even been concluded,” he said. When asked whether government authorised Espinet to negotiate loans for TPH amounting to US$1.4 billion, the Prime Minister answered in the affirmative. “The answer is yes and in this House and out of this House, we have spoken on this matter…ad nauseum, indicating that the Ministry of Finance in protection of the country’s financial situation, had the responsibility to ensure that we do not default on that debt. 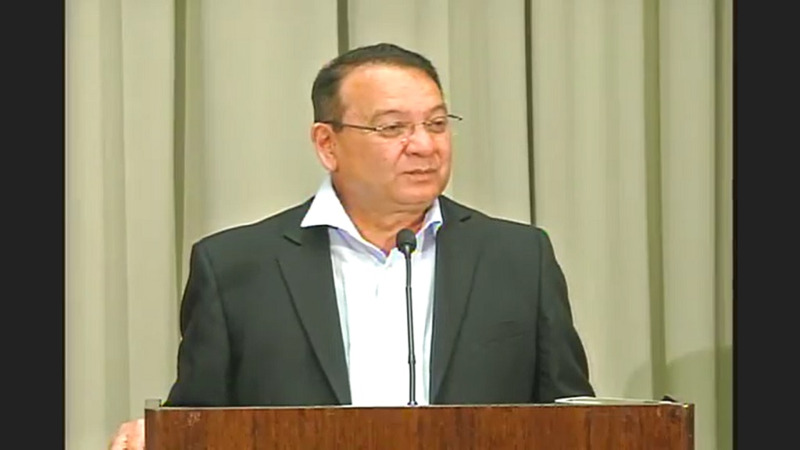 “When we went into the restructuring program for Petrotrin, one of the things that happened – and we said so before to those who listened – that Petrotrin would be taking responsibility for this and relieving the Ministry of Finance. I don’t see why that so upsets my friend,” he said. On March 16, 2019, the Trinidad Express reported that the Paria Fuel Company had been put on the market for sale. 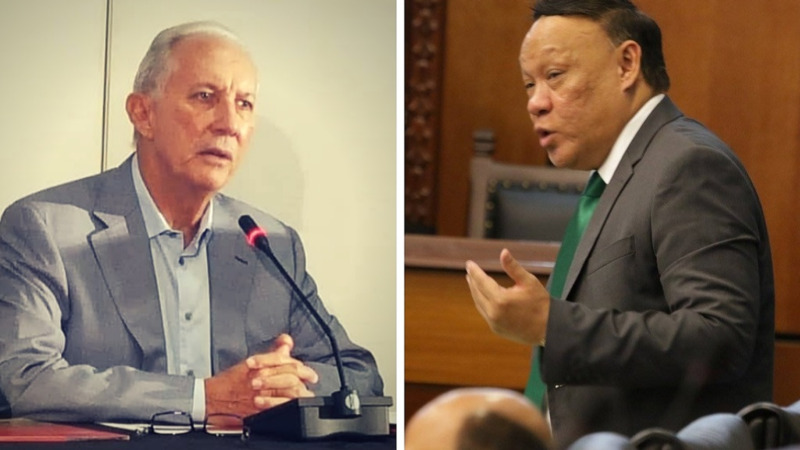 Espinet had indicated that requests for proposals had been submitted both for the refinery and for the Paria Fuel Trading Company. However, on March 18, Khan said the RFPs had been issued inadvertently and that there was no government mandate for the sale of the company. The company forms one of four subsidiaries of TPH and oversees terminalling, fuel trading, product supply and logistics. Opposition MP David Lee called Espinet to be fired, saying his irresponsible actions must be addressed. Dr Rowley said there was ‘no position’ on the sale of PFT, adding that the company ‘is an asset, which the government will leverage to the best interest of the people of Trinidad and Tobago’. Gov't orders retraction of RFPs for Paria Fuel Trading Co.